Get the experience of passenger’s transport company in The Stylish Auto Rickshaw Driving Simulator you have never enjoy before. 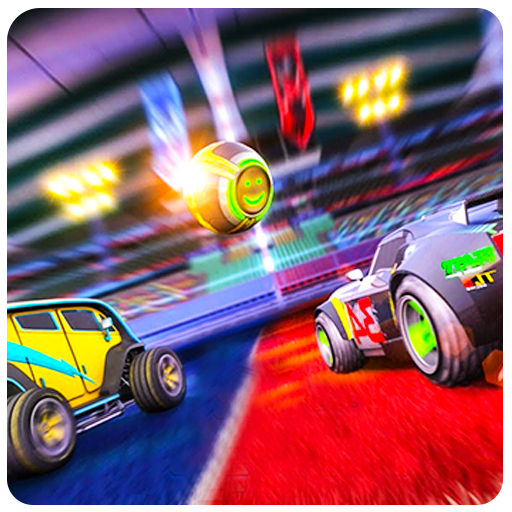 Mostly the driving games lovers are enjoying the driving physics of car games, quad bike games, tractor games, and the police car driving games. 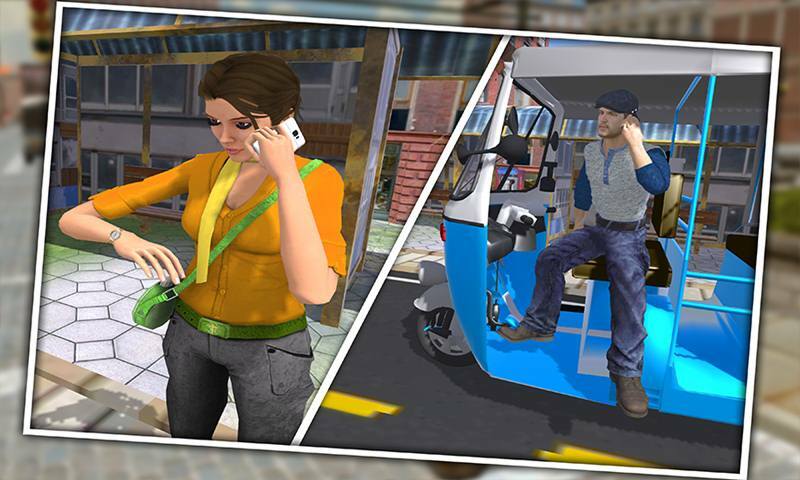 This city rickshaw game is place on a 3D city environment, be a professional rickshaw driver provide the rickshaw transport service to people of the beautiful city. Enjoy the most demanding The Stylish Auto Rickshaw Driving Simulator, where you have to pick up the passengers from their locations and drop them to the desired destinations. Pick up the call of the customer and ask about their location. Show your incredible skills of auto rickshaw driving and complete all task with in time. Incredible camera angles of auto rickshaw driving game on just one click and cool sounds effects made this game addictive. The Stylish Auto Rickshaw Driving Simulator contains the challenging and impossible tasks for the rickshaw driver games lovers. 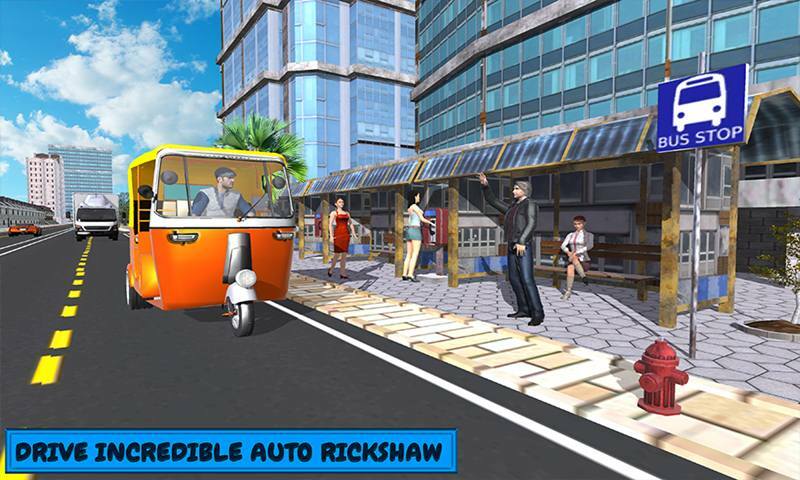 Choose your favorite rickshaw and provide the rickshaw transport service to people of the vice city. First you have to pick the call of the passenger ask about the location and reach towards the location on time. Drop passenger to their office before the time limit, otherwise you will lose the game. Become the professional auto rickshaw driver and drive the rickshaw in the street of vice city in a stunning style. Blow the horn to ask for the way from the other rickshaw driver and other transport vehicles. Enjoy the terrific physics of the rickshaw driving also change the view of the camera angle on just one tab. You can easily find the locations of the passengers with the amazing map facility. Gradually the game play become more complex when you have to pick up the more passengers from their locations and drop them to the destinations. Complete all task with in time to get more points in The Stylish Auto Rickshaw Driving Simulator so you can easily unlock the other powerful auto rickshaws. Incredible graphics of the rickshaw driver game and smooth controls of the auto rickshaw made this rickshaw auto game popular. • Choose your stylish auto rickshaw to play the game. • Pick up the passenger from their luxury houses. • Terrific missions and fabulous game play. 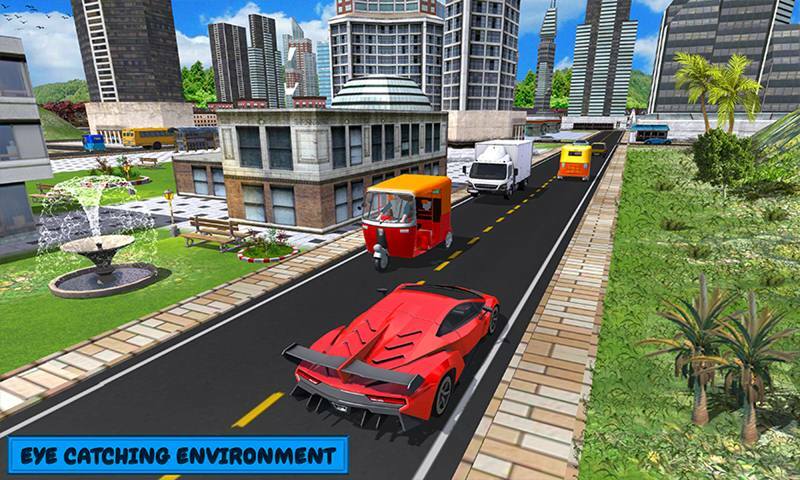 • 3D huge city environment for auto rickshaw drive. • Incredible camera angles to watch while rickshaw driving. 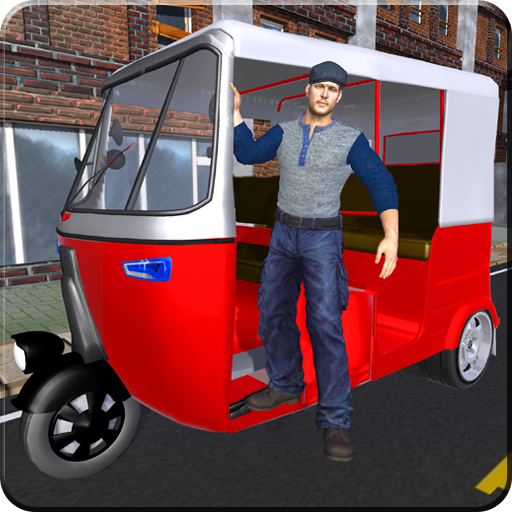 • Realistic physics and Smooth controls of the auto rickshaw. 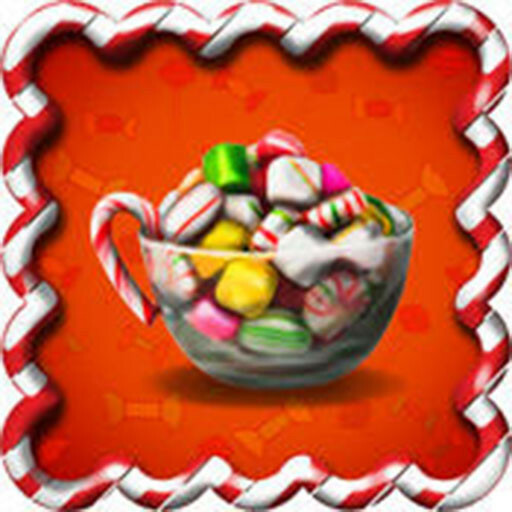 • Fun and mind-blowing sounds effects. 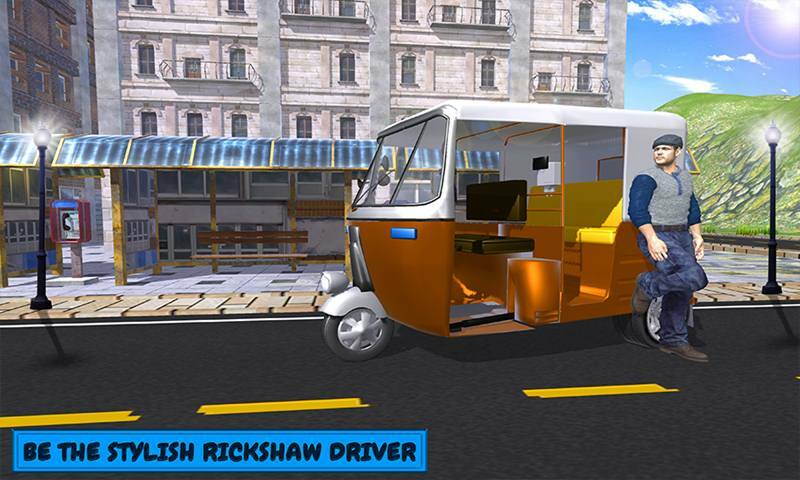 Are you ready to become a stylish rickshaw driver of the grand city in The Stylish Auto Rickshaw Driving Simulator? 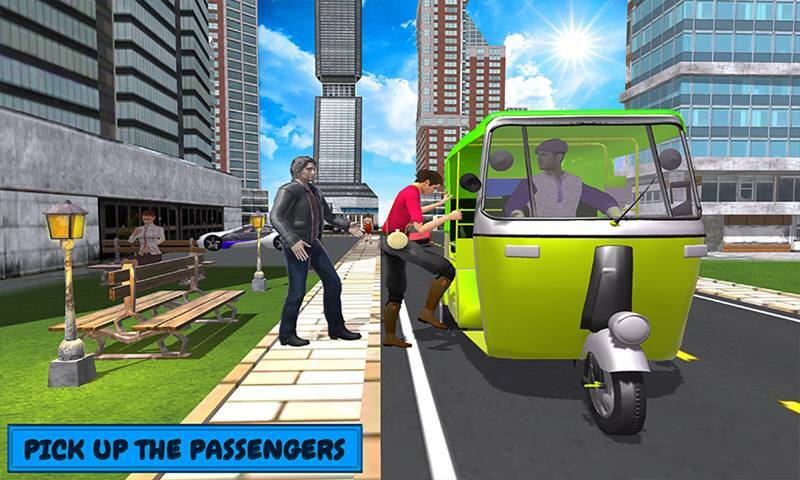 If yes, than what are you waiting for just grab this free rickshaw transport game and provide the facility to passengers. Be the professional rickshaw driver and drive in the narrow street of the vice city and impress your passengers with your rickshaw drive.